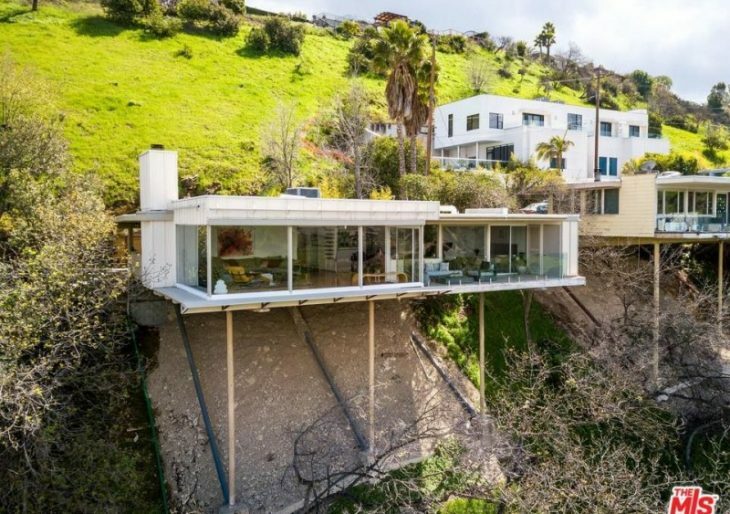 One of Southern California’s iconic stilt homes is now available for $1.55 million. 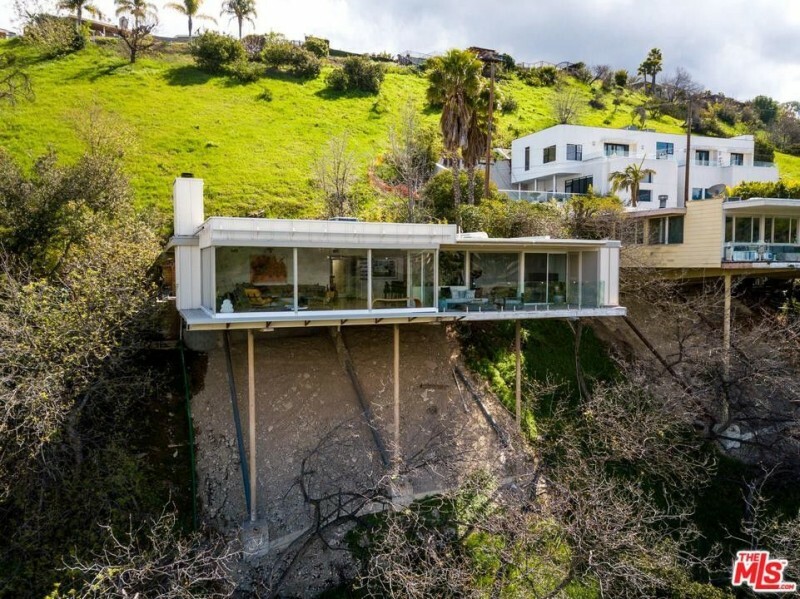 Daredevils and architectural enthusiasts alike will be drawn to the gravity-defying, potentially vertigo-inducing Sherman Oaks residence, which appears to be floating off the edge of a sheer cliff. The 1,800-square-foot home is one of just 17 of its kind built by renowned modernist architect Richard Neutra. The 1966-built two-bedroom residence is set behind wood-paneled gates for plenty of privacy. Within, the main living space blurs interior and view beautifully via walls of floor-to-ceiling glass panels, and boasts the warmth of hardwood floors and a stone fireplace. When it’s time to watch a movie, future residents can easily block out all that natural light thanks to drop-down blackout shades. A projector and a drop-down screen allow for the living space to easily convert to a movie theater. No backyard on a hillside like this, but there is still a small meditation garden in the rear of the property with seating and a fountain. The home has survived seven major earthquakes since 1966.